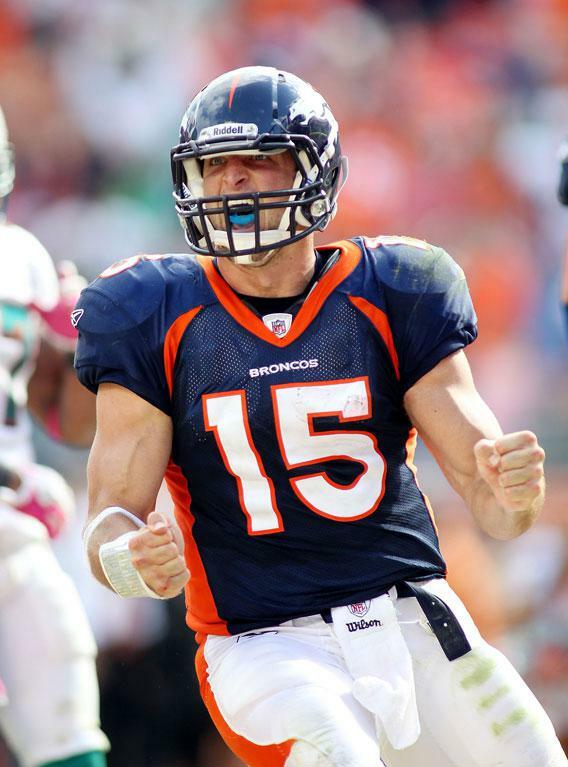 Tim Tebow comeback: Seven things I believe about the Broncos quarterback. 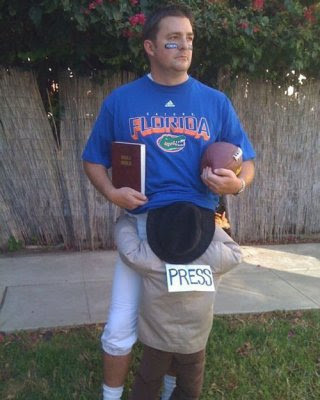 Seven articles of faith as regards Tim Tebow. Tim Tebow led the Broncos back against the Dolphins, but is he a viable NFL quarterback? 1) I believe that Tim Tebow is not a viable NFL quarterback. I don’t believe he ever will be. I believe that his physical assets, which are many, will never outnumber his defects, which are legion. 2) I believe that Tim Tebow very often looks like a man trying to throw a helium balloon. 3) I believe that the hostility surrounding Tebow is not a hostility toward him or his “outspoken Christianity,” as Tim Keown wondered in a recent ESPN the Magazine cover story. I believe that the hostility is really a hostility toward a media who churn out giddy stories like Keown’s and who yammer mindlessly about things like “the energy that he provides in the huddle” (Wilcots again) and who generally sound like people trying to sell you an unwanted puppy. 4) I believe that Tim Tebow is ill-served by a sports media that, contra Randy Cross, are courteous about his religion to the point of distortion. I believe that his Super Bowl commercial was not, as everyone said at the time, harmless. I believe that the commercial and the accompanying video on spanky Jim Dobson’s website were using Tebow’s providential birth to urge women never to seek out abortions, even if it meant ignoring a doctor’s counsel. I believe that the commercial was anti-medicine and anti-woman, and that it served no one’s interests—except maybe Bob Tebow’s ministry—for the media to dress up extreme quackery as an honorable and unimpeachable expression of religious belief. 5) I believe that Tim Tebow is the second coming of no one so much as Kordell Stewart. 6) Or maybe Doug Flutie. 7) I believe that Tebow can be enormously fun to watch, and that the NFL is a better league when it finds a place for misfits, and for that reason I hope Tebow succeeds. On Sunday, Tim Tebow was exactly what we’ve come to expect. I’ll leave the X’s and O’s for Nate and say only that Tebow was awful for long stretches, then, very briefly, he wasn’t. He sailed one pass maybe 15 yards over the head of a wide-open receiver, prompting play-by-play guy Kevin Harlan to say softly, almost to himself, “But there’s no wind,” as if ruminating over a Zen koan. But Tebow also improvised a couple nice drives in the fourth quarter, throwing accurate balls on the run and at one point spinning clean around a would-be tackler in a move right out of the Earl Monroe starter kit. That the Broncos came back from 15 down with three minutes left owes more to a couple lucky bounces—a successful onside kick, a fumble recovery—than it does to Tebow’s play. (It says a lot that the Broncos’ game-winning “drive” in overtime involved three running-back plunges into the line to set up a 52-yard field goal by a kicker who had biffed two 40-yarders earlier in the game.) Tebow didn’t answer his critics, as player after player said afterward, so much as do just enough to prolong the debate. There’s a funny little irony in that: It is Tebow himself who now requires faith in the unseeable.